Goodreads: Katherine Whitney has it all. She’s married, has two daughters, is the COO of Green Goddess & Co., a multi-billion dollar health and wellness lifestyle company, and with the release of her book on work-life balance, she is not only a media darling but she is a hero to working moms everywhere. In reality, though, Katherine’s life is starting to fall apart, and her loyal assistant Lucy Cooper is the one holding most things together. But when Katherine does something unthinkable to Lucy, Lucy is faced with a difficult decision. Will she choose to change Katherine’s life forever or continue being her main champion. Her decision could change the trajectory of both of their lives. 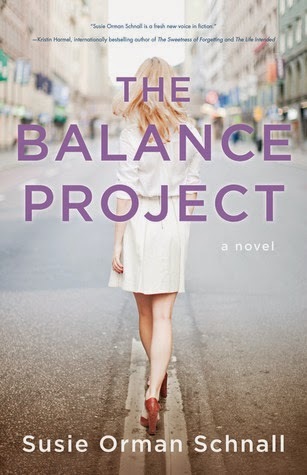 The Balance Project is a story of loyalty, choices, and most of all balance as it explores the hot-button issue that all women struggle with. Kritters Thoughts: Lucy Cooper is an executive assistant to a woman who preaches about the work life balance and her boss Katherine even wrote a book that is all about achieving the work life balance while also being a full time wife, mother and boss. But Lucy Cooper has everything in her life but balance - a great boyfriend, an ok job (she wants something else) and great friends and family, but she can't do any of it full time as the job she has is taking up a lot of hours! I am an executive assistant and there a few moments where both my work life and my personal life are exploding at the same time and I wish for an assistant for this assistant! This book hit a nerve with me and a good one! I loved reading about how interesting of a job it is to be someone's assistant and help them with both personal and professional tasks. I loved her boyfriend and how he was pressing the marriage issue and although I didn't relate to her divorced parents aversion to marriage, I did understand his annoyance with the times that work just comes first. For some this book could be on the fluffy side, but for this reader, it hit close to home and I loved every minute of it. I would love to pass this book along to the skeptics of what I do and how interesting of a lifestyle it is! This definitely sounds good to me. I think sometimes these books are deceptively light in their presentation, but give us real things to think about. I recently read The Knockoff, which was similar in that way.